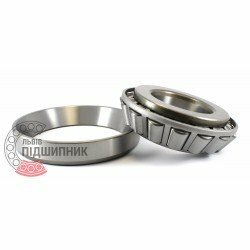 Tapered roller bearing 31312 China for farm machines, automotive and construction techniques. 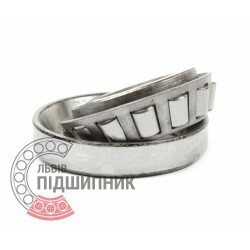 Net product price: 322,41 грн. Gross product price: 386,89 грн. Bearing 27312 GOST 7260-81 SPZ, Samara, Russian Federation. Type - tapered roller bearing single row with taper of large angle. Separable. Metric dimensions (dxDxT): 60x130x34 mm. Corresponds to the bearing 31312 DIN720/ISO355.